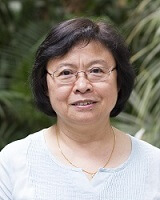 Dr Siek-Toon Khoo is a quantitative methodologist who specialises in psychometrics, measurement issues of educational and psychological constructs, structural equation modelling, multilevel modelling and modelling of longitudinal developmental growth curves. She was awarded a PhD in psychometrics and quantitative research methodology in 1997 from the University of California, Los Angeles. Dr Khoo is Director of Psychometrics and Methodology at the Australian Council for Educational Research.